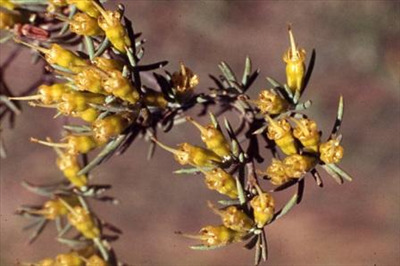 Low growing flat-topped spreading shrub with horizontal branches and pale yellow-green flowers mainly in spring. Tolerant of moderate-heavy frost (20-25F) and prefers well-drained soils in full sun or partial shade position. Prune for shape if required, rarely required. Excellent for growing on embankments. Wonderful container plant especially for bonsai.